Hello, beautiful. Imagine waking up to this. 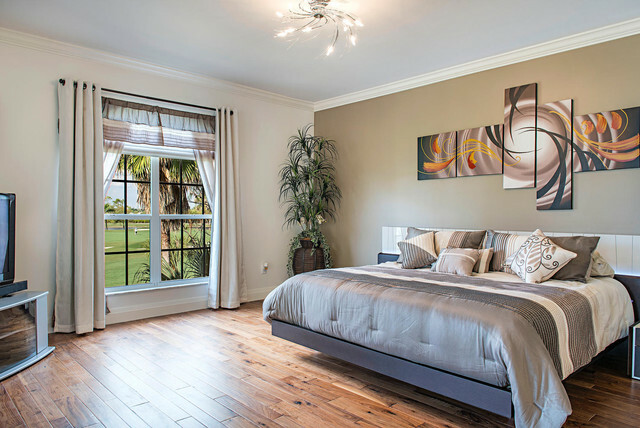 The hardwood flooring adds a pop of personality to this chic Master Bedroom, and the views of the golf course aren't too shabby.